8 January 2013: City Mayors invited those who participated in World Mayor 2012 to put questions to Bilbao Mayor Iñaki Azkuna, winner of the 2012 World Mayor Prize. From the questions received, a representative selection was forwarded to the mayor. He replies below with candour and thoughtfulness. Question: What do you regard as your greatest achievements as Mayor of Bilbao? Iñaki Azkuna replies: The greatest achievement is that, along with other public administrations, the City Council has managed to increase the self-esteem of the people of Bilbao. Question: Bilbao has undergone dramatic changes during your time in office. What would you still like to achieve? Iñaki Azkuna replies: In addition to opening the Deusto Canal - important from the point of view of the hydraulic activity of the River- maintaining the city well during the crisis and preparing Bilbao for a period of new innovative and intelligent development. Question: What do you regard as the best and worst aspects of today’s Bilbao? Iñaki Azkuna replies: There are still many things to be done. The worst are the unemployment figures and the best the self-esteem and pride of the citizens of Bilbao, which fills me with hope for the future. Question: How will Spain’s current economic and financial crisis affect the future of Bilbao? Iñaki Azkuna replies: The city will be negatively affected, like in the rest of the country. But we are in a better position than others, because we thought ahead and paid off debt and made decisions since 2008. Question: Taking the current economic situation into account, what projects do you regard as priorities for the future of Bilbao? For example, will Zaha Hadid’s Zorrozaurre development go ahead? Iñaki Azkuna replies: The development of the Universities, the attraction of companies to Bilbao, and as for the expansion of Bilbao, the rehabilitation of Zorrozaurre and Punta Zorroza. For this reason the City Council will open the Deusto Canal, a strategic project for Bilbao. Question: There are some architects in Bilbao, including Iñaki Uriarte, who are not happy with the way you have transformed the city and who describe the new architectural works as illegal and outrageous. Why do you think they are unhappy and what would you reply to them and why? Iñaki Azkuna replies: The person you mention has never agreed with the City Council. Neither socially nor politically. Question: In November 2012, the majority of Catalonians voted for separatist parties. Are you in favour of the break-up of Spain or, in your opinion, what federal model would be best for the country? Iñaki Azkuna replies: I favour interdependence because I believe that we increasingly need one another. Question: What benefits would a permanent disbandment of the ETA bring to Bilbao and the Basque country? Iñaki Azkuna replies: As a matter of basic ethics, ETA should disband. It should have never existed, but even less so in a democracy, where you can defend any political project or idea. Question: Are you in favour of a merger of all communities in Greater Bilbao and their integration into the city? Please provide your reasons for or against. Iñaki Azkuna replies: The conurbation around the River involves one million inhabitants. The riverside villages could be joined perfectly, like in large French cities, for example. It has important advantages. Question: Bilbao’s neighborhoods have always been part of the culture and life of the city and a source of creativity and economic development. What actions have planned to continue their development and achieve a balance between them? Iñaki Azkuna replies: Practically the entire budget is for the neighborhoods. They all have their pros and cons, but they are, in general, increasingly balanced. Question: How will you promote tourism to Bilbao and Biscay in the coming years? Will you promote the city in Asian markets such as China? Iñaki Azkuna replies: In China and around the world. It will be increasingly important in our economy. Next year we will have the Bilbao-Bizkaia tourism office in Plaza Circular, in the centre of Bilbao, beside the station where the High Speed Rail will enter the city. Question: What, apart from the Guggenheim Museum, has Bilbao to offer to foreign visitors? Iñaki Azkuna replies: It has the Alhóndiga designed by Philippe Starck, and more new buildings designed by the best architects. The city has excellent food, a beautiful historic centre and very hospitable citizens, proud of their new and old city. Question: How do you plan to create more jobs for people, especially the young, in Bilbao? 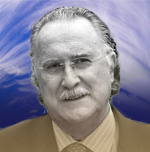 Iñaki Azkuna replies: By creating wealth. Investing all we can, in addition to reducing expenditure in the public administration. Attracting investors and maintaining the city's pulse. Question: Do you regard immigrants as an asset or a burden to Bilbao society and the city’s cultural development? Iñaki Azkuna replies: The Basque Country and Spain have the lowest birth rates in Europe. Many immigrants will come here. Most of them are positive and there is a violent minority that no one wants. Like our own violent elements. Iñaki Azkuna replies: First of all by maintaining, in these difficult times, the public bicycles; secondly, by building as many bicycle lanes as we can and thirdly, by supporting those who use this means of transport. Question: How can a wise and compassionate man, like yourself, support bullfighting? Iñaki Azkuna replies: Wise, compassionate, charitable and tolerant. In my 13 years as Mayor, have you seen me ban any spectacles?. I think I have accepted tradition, plurality and tolerance in Bilbao although I do admit that there are some spectacles I like more than others. Iñaki Azkuna has been mayor of Bilbao, Spain, since 1999. He won a fourth term in 2011. For the first time, his Basque Nationalist party EAJ/PNV, has an overall majority on the council. Mayor Azkuna is an eminent cardiologist specialising in Cardiovascular Radiology and has published two books and over 100 articles on his discipline. His career in the health sector includes periods as Professor of Medicine and Radiology at the University of the Basque Country, Director of the Hospital de Cruces and Director General of the Osakidetza (health service) in the region. Mayor Azkuna became a full-time politician in 1991 when he was appointed as Health Minister in the regional government. He remained in this post until 1999. Some months after leaving the Basque Government he became mayor of Bilbao following the 1999 council elections. In 2011 it was revealed that the mayor had been diagnosed with cancer in 2003. Bilbao has enjoyed a high profile during Iñaki Azkuna’s watch as it has re-built its formerly industrial local economy and especially in the wake of the worldwide attention Frank Gehry’s Guggenheim Art Museum attracted in the 1990s. The regeneration of the city has been recognised internationally throughout the last ten years with European Urban and Regional Planning Awards in 2004 and 2006 and European Enterprise Awards from the European Commission in 2007. Under Mayor Azkuna’s leadership the city has been very involved in pan-European and global co-operation and knowledge sharing and Bilbao has also secured a strong reputation within Spain, now very important, for financial rectitude. It is the least indebted major urban centre in the country. 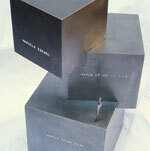 This strategic financial management was recognised by the European Institute of Public Administration in 2011.